The floating bathtub that doubles as a hammock is not a new concept. However, it is one that deserves a lot more publicity that it has at the moment. The truth is that we are talking about something that is really appealing. 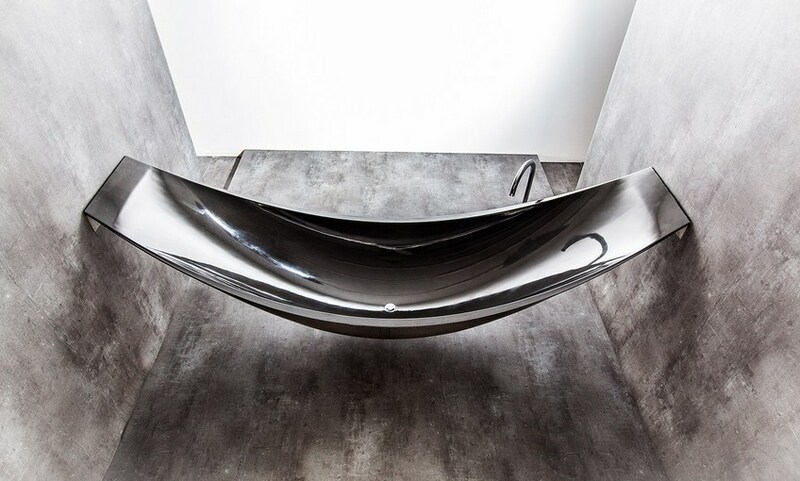 Even if the costs are high (the bathtub hammock costs $34,000), this incredibly attractive interior design element for bathrooms by Splinter Works would look perfect in absolutely any modern room. The name of the bathtub hammock is Vessel. 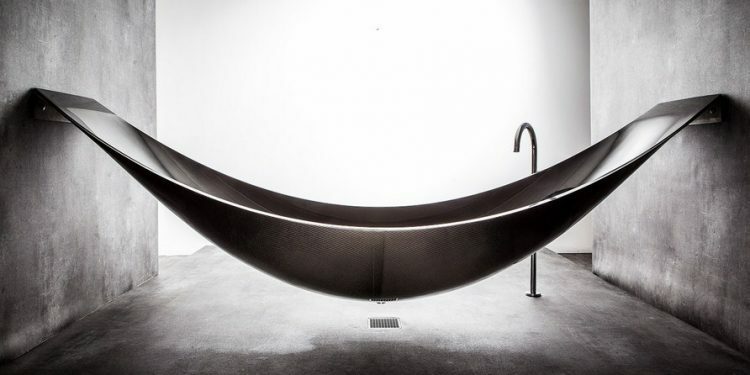 It is made out of carbon fibers and you can notice that it will hang just like a hammock in your bathroom. You can use it in rooms with tiled floors and a drain and you will love the fact that there are no moisture problems that appear. The bathtub will be attacked to your wall with the use of stainless steel brackets. You can cover them or leave them exposed, based on used design style. An interesting design element is the inclusion of a standard floor tap that will be used to release water after you bathe. If you want to, you can install a down-pipe drain. As you can see, this bathtub that doubles as a hammock can be seen as a sculpture inside a bathroom. That is how beautiful it is. At the same time, with a little bit if innovation and imagination, you can add the bathtub in another room, not necessarily a bathroom. The preferred color is black but you can also buy Vessel in other color options like bronze, pure silver, pink, yellow, blue or red. 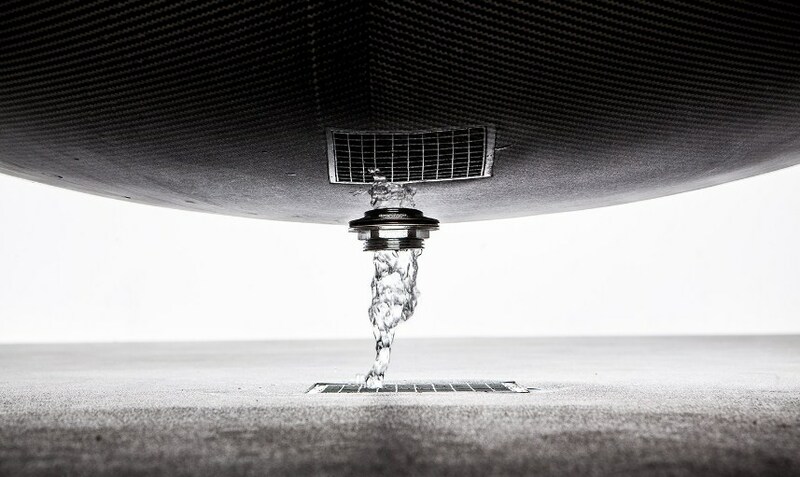 Take a look at the pictures below and click here to learn more about Vessel.